Are you currently renting and wondering if now is a good time to buy a home in Carmel, IN? The Carmel, IN real estate market is in good shape and is expected to continue to rise upward through 2017. The same can be said of the rental market. Rentals are booming – for the landlord. The Consumer Price Index (CPI) was released by the Labor Department last week. An analysis by Market Watch revealed the cost of rent was 3.8% higher than a year ago for the second straight month in June. That’s the strongest yearly price gain since 2007! Rents are expected to continue to climb throughout this year and the next. Home prices and mortgage rates are also expected to rise so it doesn’t make sense to wait another year to purchase a home in Carmel, IN as you will pay more in the long run. Bottom Line. 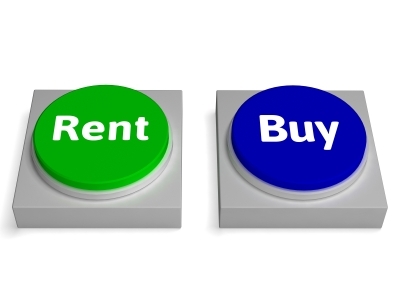 Buying a home now before your rent rises makes sense financially. If you are one of the many renters out there who would like to evaluate your ability to buy this year, meet with a Carmel, IN real estate professional who can help you find your dream home. When you are ready to purchase your Carmel, IN home look to an experienced Carmel, IN real estate agent. We are committed to providing you with the highest quality buyer service. When making the type of investment that buying a home requires, you deserve to have all the latest market information and the very best advice, both of which we can provide you with. We hope to speak with you soon!